Christine Duncan along with David Pratt started a photo challenge. the hunt is then on to find a shot and share it. They opened challenge up to anyone who wanted to take part. and expand our abilities as well as share the shots we all get. through Hockley Valley just north east of Orangeville. so I figured there would have to be some kind of equipment back in the bush. Parked the car and headed in, I soon found this Skidder, a machine used in logging operations. Be sure to check out David's and Christine's machine pics. If you want to join the challenge just post here or on Facebook and lets see where this can go. A fantastic find Peter. I love the lighting on this image. 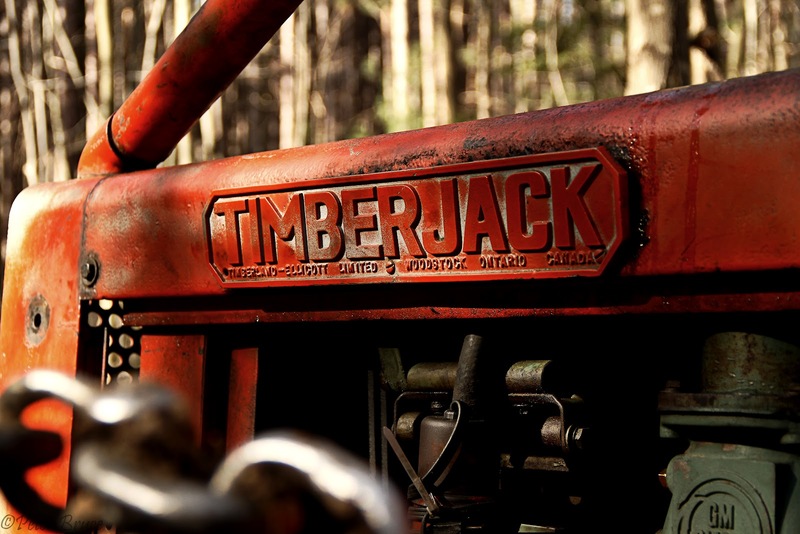 How the light plays with the name on the skidder and on the engine. Wow! Really nice. Wow... I love how the color pops in the light and your fabulous selective DOF! Great start to the Epic Personal Challenge Peter!